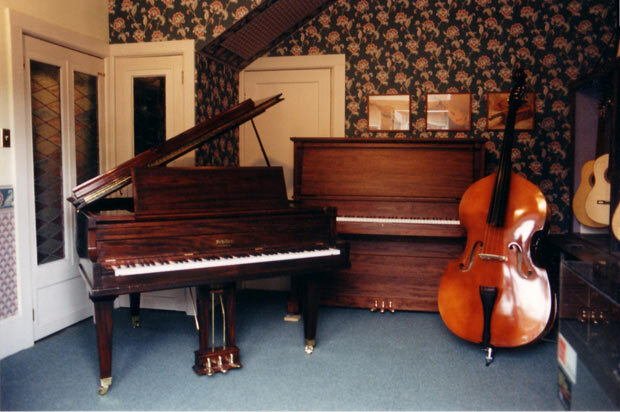 Modern pianos have a support beam which extends the width of the piano under the keybed. 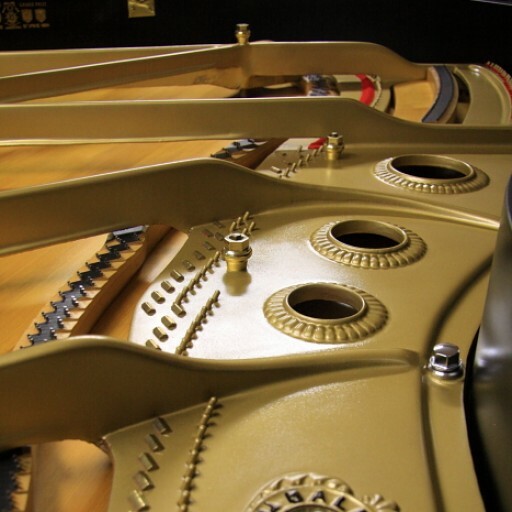 This older Kawai has a wooden keybed brace with the centre part cut away to accommodate lyre trapwork. The paper is inserted in gap between brace and keybed. You can see the shift lever in the cutaway part of the brace and a previous repair (not by us) that's pulled apart. 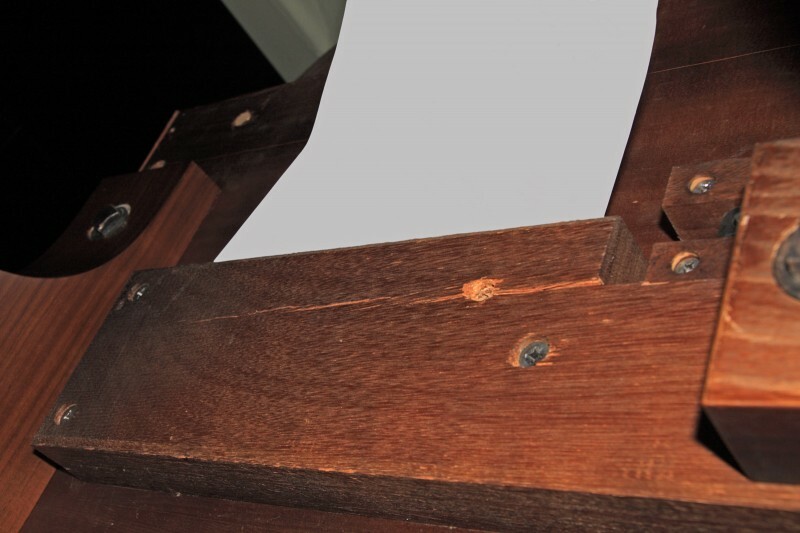 The paper is inserted in gap between brace and keybed. 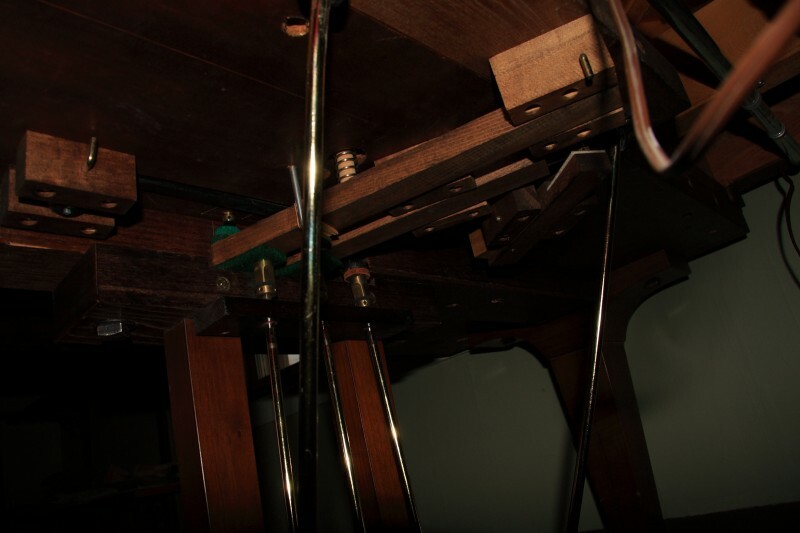 You can see a second crack in the bottom of the key bed and the cantilevered board to which the lyre support rods are fastened. 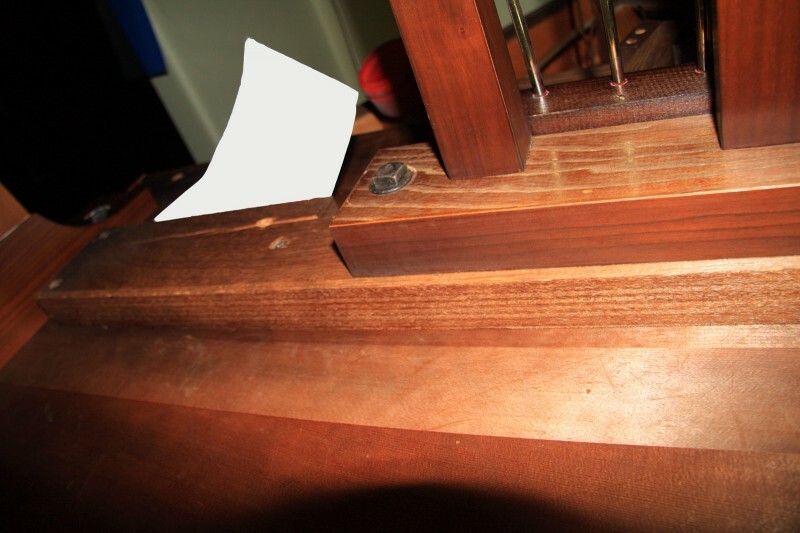 Here you can see dowels from a previous repair (not by us) in the key bed and a second crack in the bottom of the key bed and veneer that's pulled away from the case as the keybed was torqued from pedaling. Here you can see the crack has been glued. 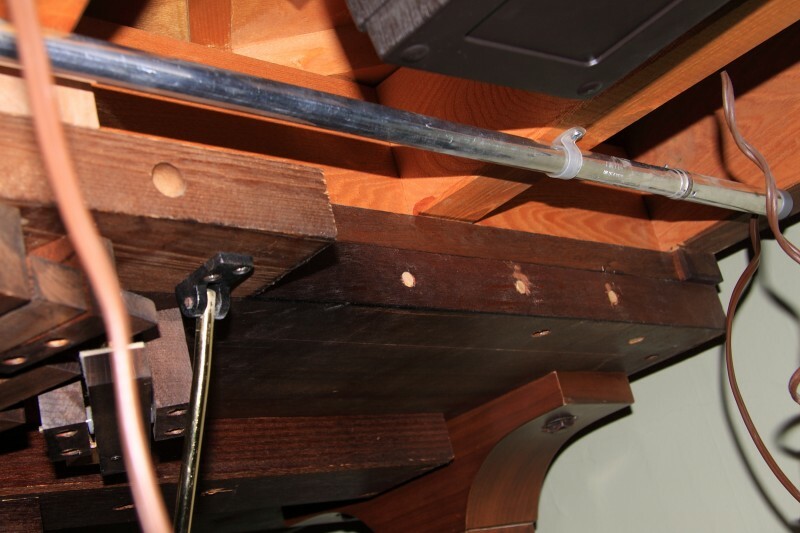 To strengthen the brace beam, we installed dowels through the beam to hold the two sides of the crack together. Previous dowels into the key bed were not by us. 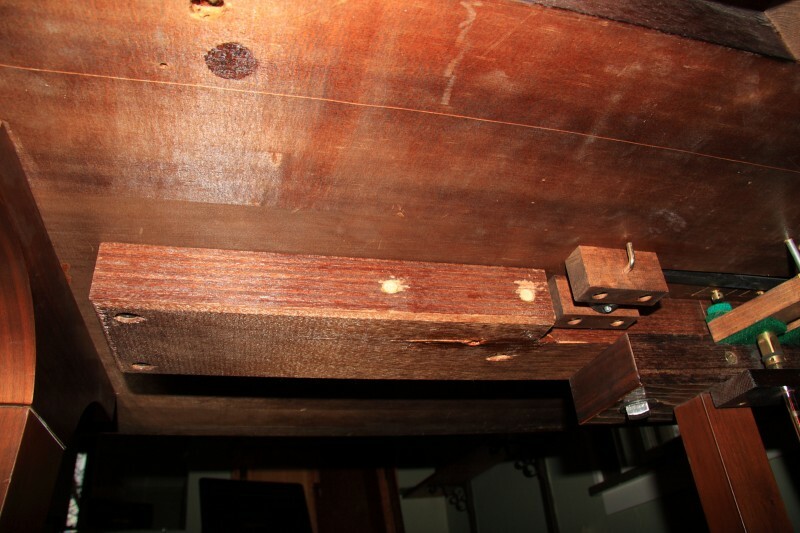 Here you can see four dowels glued across the keybed crack to strengthen the repair and two dowels glued across the brace beam. 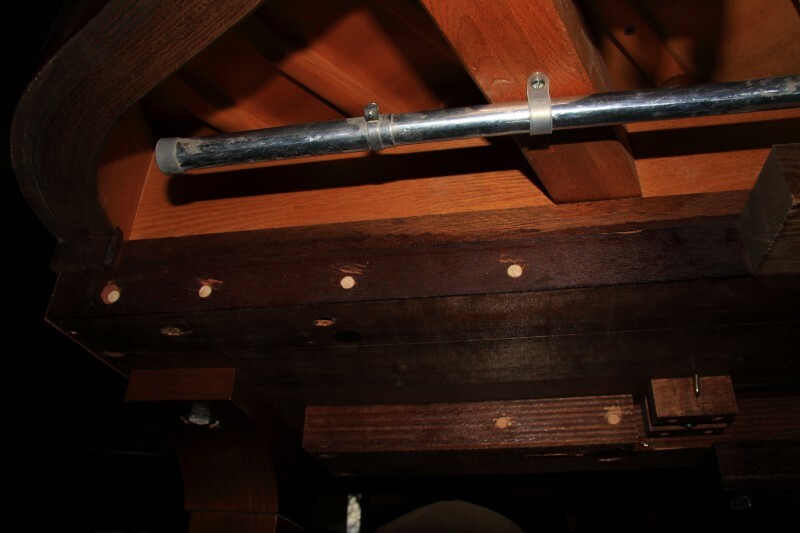 The dowels through the key bed into the case beam from a previous repair were not by us. 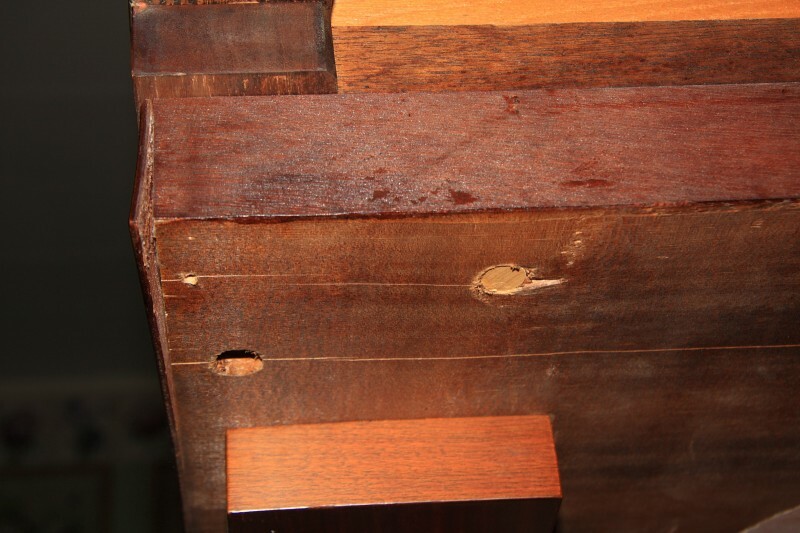 Here you can see the dowels we glued in the keybed to support the repaired crack (on the bass side of the lyre). The vertical dowels through the keybed were not by us. 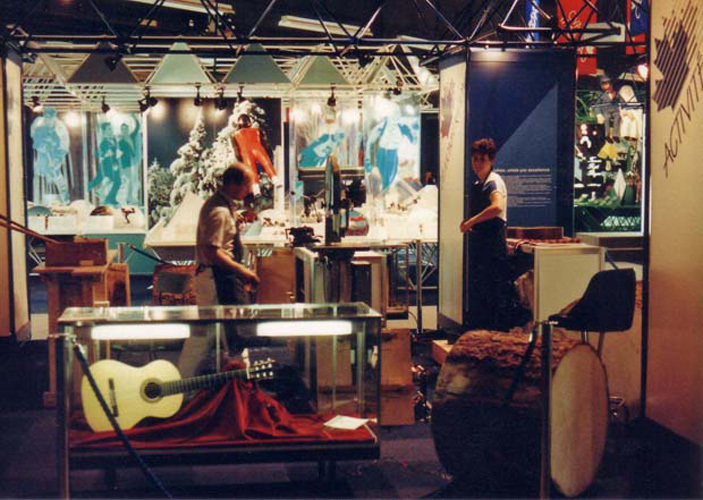 you can see a (white) block of wood, which was carefully cut and fitted to bridge the gap between the sturdy case beams and the cantilevered board where the lyre braces attach. 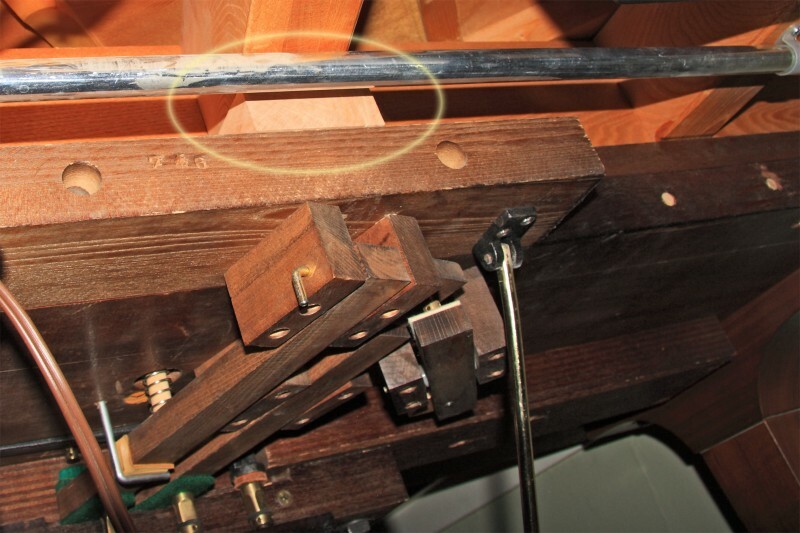 and again - the solid wood bracing to stop Lyre torque has been circled. 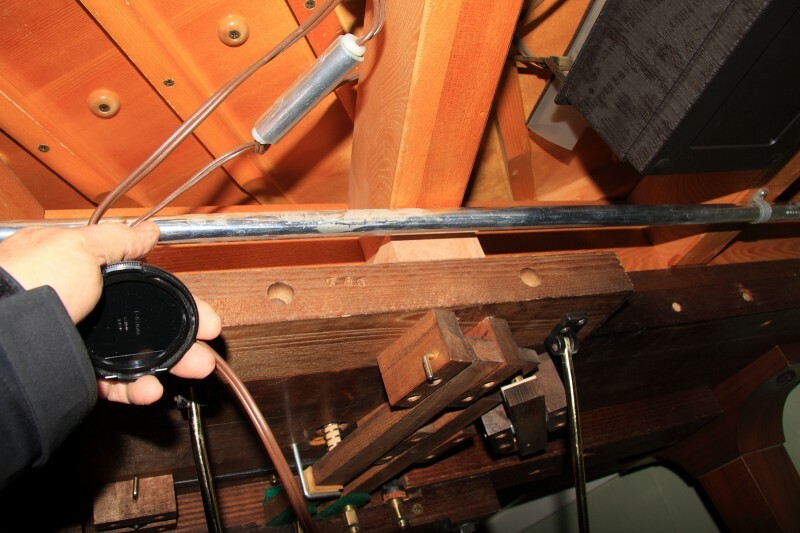 ← What’s inside your piano ?